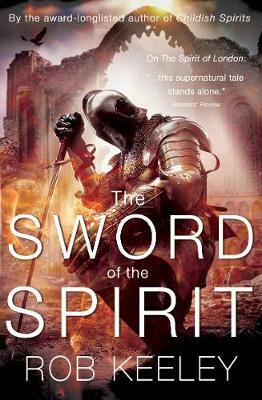 Following the success of his award-longlisted Childish Spirits and its sequel The Spirit of London, prolific children's author Rob Keeley is back with The Sword of the Spirit, the third instalment in his thrilling and suspenseful Spirits series. Ellie's investigations into the spirit world have reached a medieval castle, where archaeologists are digging for the fabled Sword of St Merrell. But she didn't expect to meet a real medieval knight. Nor was she expecting him to be an ancestor of Edward Fitzberranger. Ellie discovers that behind a legend of chivalry and bravery lies a dark and nasty truth. And worse is to come. Ellie's meddling has consequences she could never have foreseen. This time, she may have gone too far... The Sword of the Spirit works both as a standalone novel and as part of a series. It will appeal to girls and boys of upper primary and lower secondary age - primarily 8-12 - and to parents and teachers reading the book aloud.